ENERGISE YOUR PRODUCTIVITY & ELEVATE YOUR CLARITY BY WORKING WITH THE MOON PHASES. When you download you receive a free monthly Moon Magick guide to your inbox every month. Do feel as if there’s a better way to do business? Do you feel as if somedays your productive AF and other days you can’t get anything done? Do you put in so much action and never let yourself rest? Then my love – this is for you! As we stand today in the 2019, our society is heavily biased toward the masculine – doing, acting, thinking, hard work and linear living. And that’s great.. we need to have this in our lives, but what I see is greatly lacking is the embrace of our feminine aspects. There needs to be greater balance of the masculine and feminine in all of us. This is why I created the Moon Magick guide. 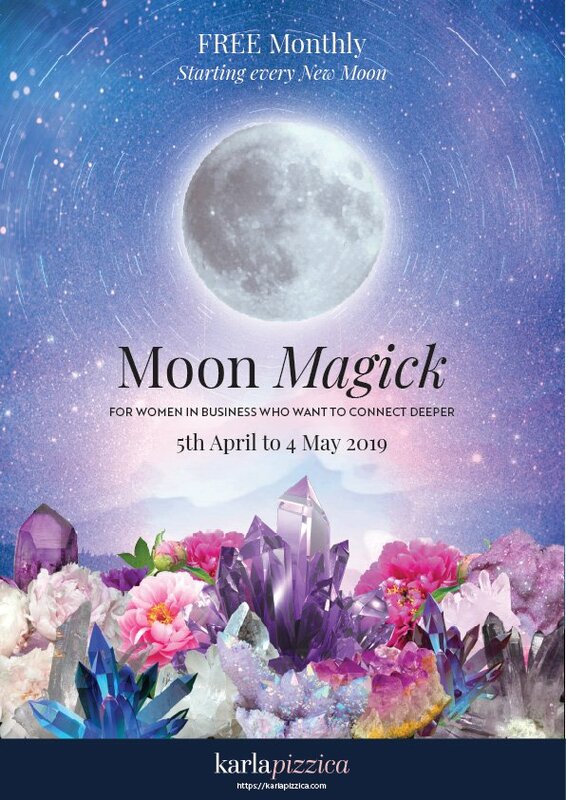 This Moon Magick Guide was designed to help you help you tune into your personal cycles and the cycles of the Moon & cosmos and gain a deeper understanding of how they affect you in your everyday life & business. 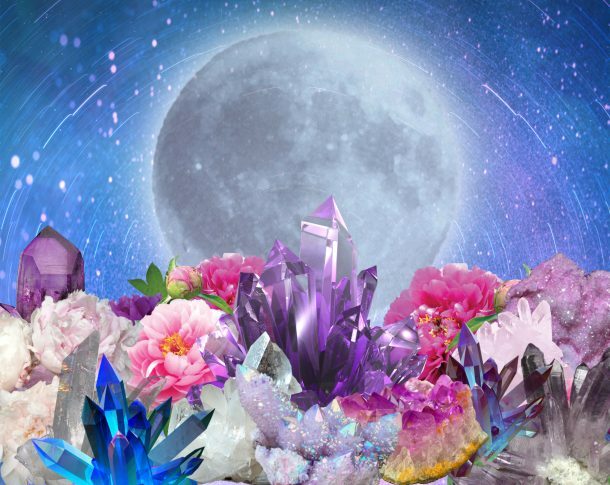 When you download this FREE guide, you will be guided of how to honour your natural cycles and to find the balance between your masculine & feminine qualities by following the energies of the Moon cycles and cosmos. The third page is a printable and designed to print out every month and hang on your so you can be reminded of dates, times & signs (I designed it pretty for you so you can do that). 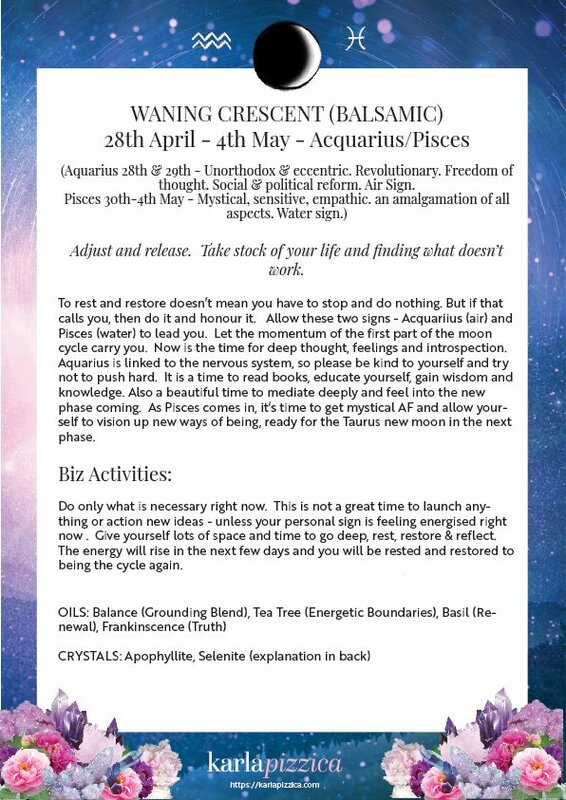 And in the subsequent pages, I’ve gone into more detail on each phase with oils & crystals as sacred tools to assist you if you feel wobbly or need to create more power within yourself. 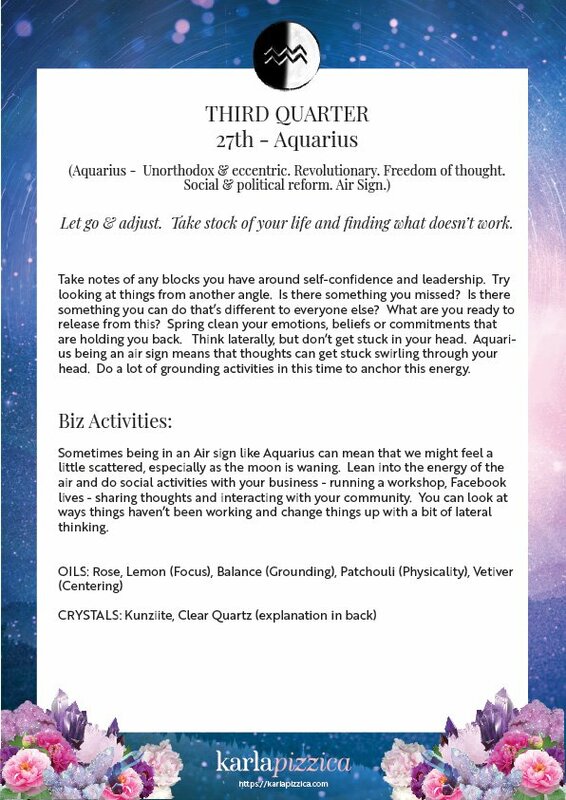 In the back pages, you can set your intentions on the New Moon & Celebrations/Release on the Full Moon. And there is also a full crystal explanation (provided by the amazing Jess Cartwright from Bliss Me Home). What are you waiting for beautiful!! Disclaimer: Please honour your own energies and use this purely as a guide. Nothing stands in the way of your own feelings and intuition. If you’re female, then you might want to use this in line with your menstrual cycle. Take what you need from this and transmute it as your own. You are magickal, wise & powerful. This book is for both Women & Men, because when I refer to masculine and feminine, I am referring to them as qualities rather than gender. We all have qualities of both masculine & feminine and are available for our access at any time. My vision is to see us all honouring ourselves without guilt and living a spacious & powerful life.